New Spec Villa built by STAR HOMES in Desirable Cottages of Milagro. 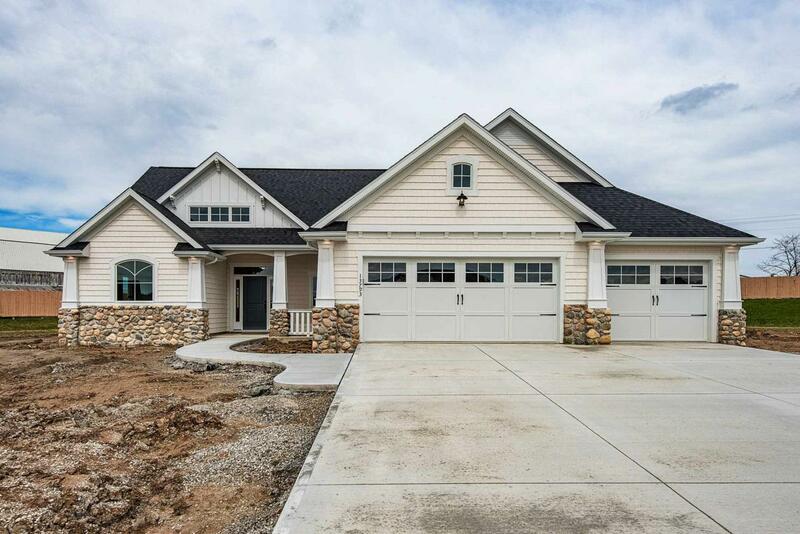 This Custom Designed Open Concept, Split Bedroom Ranch has 3 Bedrooms, 2.5 Baths. The Foyer entrance leads you into a Large Great Room with Tray Ceiling and a gas fireplace with custom Mantle and Tile surround. Kitchen has Custom Cabinets, large Breakfast Island and Spacious Dinette area with access to a covered and separate Open Patio. The Master Suite layout provides a Double Sink Vanity, Custom Title Shower, and 12 ' ceiling in the Walk-in closet with "high-hang" off season storage. 9' ceilings in house and Garage. Mud Room W/lockers and 1/2 Bath off the 3 -Car Garage. Anderson 400 Series Windows, Irrigation system and Landscaping included. Just minutes from I-69, Major Hospitals, Shopping, Restaurants, Library, YMCA and Puffer-belly. Enjoy Villa Living with no more hassles of Mowing, Mulching or Snow Removal. Association & Villa Dues cover/Snow Removal (driveway, walks and street), Maintains Lakes and Common Areas, Yards, Landscape and Irrigation System, Mailboxes and Stands. Listing courtesy of Pat Lydy of Keller Williams Fort Wayne.